Westland Foundation has partnership agreements with Red River College, University of Manitoba, University of Winnipeg and The Winnipeg Foundation. Each partner holds Education Funds in endowment at their institutions. The interest earned from the endowments will fund the scholarships on an annual basis. The three partners have contributed matching funds to the portion of the Education Fund endowment held at their College or University. Each partner provides the ongoing collaboration and coordination required to implement the scholarship awards at their respective institutions. 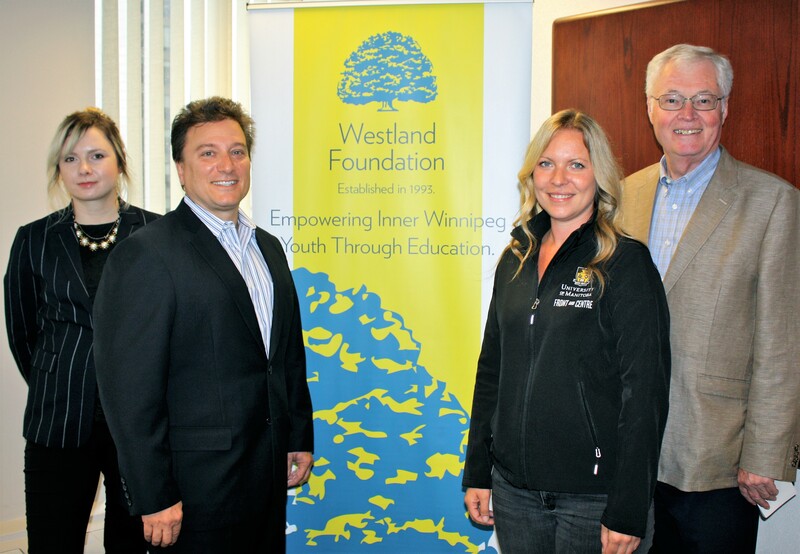 Westland Foundation contributes dollars to an endowment fund held at The Winnipeg Foundation. Westland Foundation is able to draw upon the interest earned from the endowment, enabling the Education Fund to offset financial commitments at any of the partnering post-secondary institutions. Our four partnership agreements are invaluable to ensure the Westland Foundation Education Fund scholarships, for inner-Winnipeg students, are maintained and successfully granted annually.